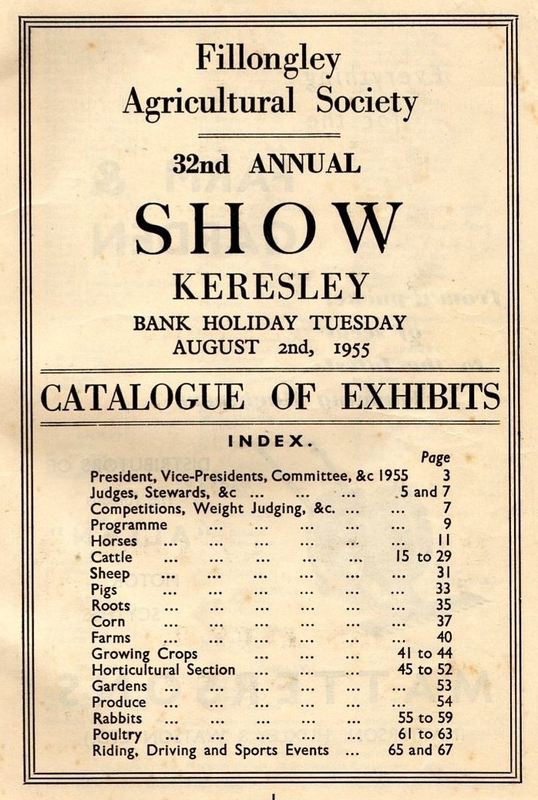 In early 1919 a group of local farmers were bemoaning the fact that the area north of Coventry did not boast an agricultural show. At that time many villages held their own event. Shows, like markets, needed to be local as most livestock was lead to a show as alternative forms of transport were expensive or non-existent. The upshot of the above conversation resulted in the formation of a show committee under the auspices of Fillongley Cricket Club. The first show was held on Coundon Hall Park on Thursday 21st August 1919. The next year it moved to Beech Tree Farm and occupied fields adjacent to Long Lane, Keresley, owned by Mr Ralfe Elliot. For many years it was known and advertised as Keresley Show. 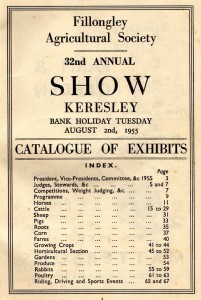 From 1920 until 1961 the Show was held on August Bank Holiday Tuesday, this day fell in the first week of the month. When the Bank Holiday dates were changed, various dates were tried, including the second Thursday of Coventry holiday fortnight and subsequently the last Saturday of the holiday. The changes did not meet with success. The committee then opted for a Sunday show but this did not meet with the agreement of the owners of the Long Lane site, so a search for a new site resulted in land rented by Mr R Pearman at Corley Moor being utilised for the first time in 1974. An adjacent field owned by Mrs G Davies is the present venue. No Show has ever been held in Fillongley. World War II prevented the Show being held in the years 1940-1944. It is a tribute to the efficiency of the Committee that although the war did not end until 6th May 1945, they were able to put on a show by early August. In 1983 a film was made at the Show entitled 60 Years of Pride and Progress and it won a number of awards. The many changes in agriculture since 1919 are reflected in the nature of the Show. Various cattle breeds have waxed and waned in popularity. Most notable are the demise of the Shorthorn and the ascendancy of the Friesian/Holstein cattle. Even they have now been eclipsed by the minority breeds. In response to requests a section devoted to rare and minority pig breeds were introduced. The classes replaced the traditional butcher’s classes which had become redundant. The junior handler competition has proved popular with young people and spectators alike. Most livestock classes are now the prerogative of what may be termed hobby farmers. The years since 1919 have seen the demise of the heavy horse ousted by the now ubiquitous tractor on UK farms. Exhibitors are now mostly confined to such as the breweries and show breeders. For many years the Society has been dependant on the leisure horse for exhibitors and audience alike. Since the World War II and well into the 1960’s show jumping and Fillongley’s unique gymkhana events would attract a circle of cars three deep. The Horticultural Section was introduced in 1932 and over the years has developed into what is widely acknowledged as the finest and most varied display to be found over a very wide area. For many it is the jewel in the crown of the Show. 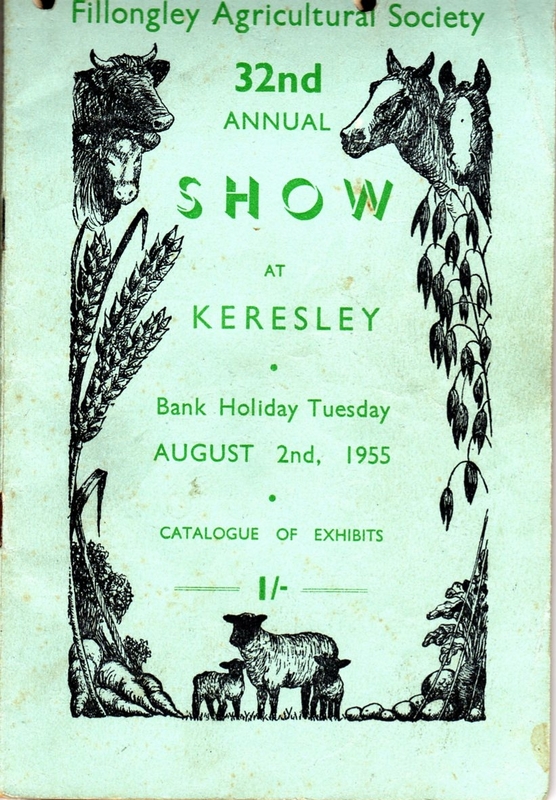 From 1963 onwards Fillongley Show was very conscious of its much larger neighbour at Stoneleigh; the competing events threatened its very survival. By adapting to changing tastes and retaining loyal, local supporters, the Show is as strong now as it has ever been. The recent termination of the ‘Royal’ has enabled Fillongley to attract a much larger attendance than was previously thought possible. The founder members of the Society would see much that was familiar and much that is not. Not since the early 1980’s has the Show been regarded as of county standard – a frequent accolade since its inception. County standard assumes a broad spectrum of high quality livestock. Modern commercial agriculture is not geared to showing individual animals. From the 1980’s onwards the trade stands have been an important and popular feature of the Show. They generate income and provide added interest along with the main ring events. The Show has always provided an opportunity for folk to get together and has facilitated many informal reunions. Agricultural shows are essentially social events and this explains why they generate so much loyalty and affection. It remains for the visitors to consider whether or not the faith and hopes of earlier generations of organisers have been fulfilled. T. M. Knowles.